Agriculture is a fundamental foundation on which our organization was founded and like agriculture, the Grange has needed to be diverse and adapt to the changing times. In some cases this is true. As I visit, I am seeing Secretaries using laptops to record minutes; Granges having open houses and providing educational programs; Granges pushing the envelope and thinking outside of the box. These Granges are growing and are prospering. There are Granges that are very traditional and are very good at their Grange work and take extreme pride in their presentation of the ritual when presented very well. These Granges too are growing. I have visited Granges that meet around a table, don’t have a quorum, that are aged to the point they have exhausted their membership. These Granges are not growing. Can these Granges grow? My answer is yes! But do they want to grow? Are they complacent? Are they comfortable? Are they just to the point where they don’t know what else to do? I defended the ritual in one of my previous articles. Let me clarify something. I defended your Grange’s right to utilize either format of the ritual that they choose. I challenge every Grange to utilize that ritual to its potential and with the ritual’s intent. We cannot allow ourselves to be crippled by our interpretation of the ritual. If we believe the ritual is crippling us, we do not have the choice not to use it. The only Granges that are allowed to deviate from the traditional Manual or the Alternative Manual are those Granges that became Action Granges under the Gray and Prelli administrations. All other Granges must utilize one of these two formats. Brothers and Sisters, this is not my ruling. This is clearly outlined in the Digest. Each Grange must avail themselves to the most current edition of the Digest. 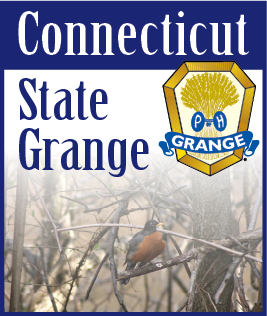 The Digest is downloadable from the National Grange website or can be purchased directly from the National Grange. Granges that are not utilizing the approved ritual, set up in full form, meet regularly and have a quorum (seven members of your own Grange) must comply with this as soon as possible. If you are unable, you must contact me, your State President, as soon as possible. There is no reason why we should be losing Granges in 2011. We have the skills, the personnel in place to assist any Grange, community or Pomona, if requested. Brothers and Sisters you need to want your Grange to succeed for your Grange to succeed. I am responsible for Ekonk Community Grange. You individually are responsible for your community Grange. I cannot wait for someone else to help Grow Ekonk Community Grange. I must assume that responsibility personally and do everything I can to make it succeed. If many of our members felt this way, our problem right now would be “What do we do with all of these new members?” The power of one, becomes the power of many and becomes unstoppable. We belong to the Grange at probably one of the most exciting times to be a Grange member. Our members are excited by the programming, which is evident in their support of the events that have taken place to date. Our members believe in their organization and ensuring its longevity by the members they are taking in. I am hearing about classes of five or more candidates coming into the Community Granges. We no longer have to wait until October and April to bring in new members. We utilize the Obligation Ceremony and Welcoming Ceremony in Connecticut and that has proven extremely successful. What a novel concept! Someone wants to join and they are able to join in a timely manner. Changes have been made to the ritual over the years that truly strengthen and enhance our abilities to function as a Grange and these are but two of the examples. There is no reason for a Grange to close in 2011.